In today’s results-driven marketplace, greater demands are required of executives, managers, and leaders to gain and maintain competitive advantage. There is greater pressure to develop and enhance skills needed to face ever increasing responsibilities, changing organizations, profit pressures and organizational competencies. 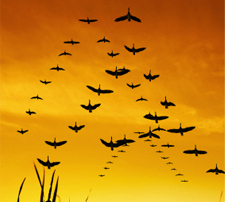 Many leaders and managers hire coaches to enhance their leadership and communication skills. The benefit received in the Leadership Coaching partnership is a greater confidence to execute strategy, lead change initiatives and build commitment in these dynamic and challenging times. The Hayes Group coaching practice provides this business partnership. Our clients value the structured plan and support we provide as they face challenging issues, establish priorities and develop new behaviors in the accomplishment of leading and managing others. Hayes provides a high-touch and personal face-to-face coaching process, coupled with phone interactions. Variable time-frames are offered, geared totally to the desires and needs of the client. The coaching engagement begins with face-to-face meetings in which you and the coach build rapport and establish realistic guidelines and expectations. The coach also meets with the manager/leader of the person being coached to gain their insights. This phase creates the foundation for a collaborative relationship. The discovery begins in the conversation with the coach and continues with the use of assessment tools to capture a snapshot of current leadership and management style, personality and behaviors. The tools can include a combination of behavioral style survey (DISC), interviews with colleagues, unobtrusive observations in the work environment, interviews with customers, review of performance appraisals, self-assessment and a 360° survey, Leadership Versatility Index 360° and/or a Job Relations Inventory. The information in this phase identifies development needs and provides the foundation for personal development. The next step in the process is to establish goals and plan change strategies based on the development needs. The development goals include short and long term development. The strategies for achievement often include stretch assignments, in addition to skill development approaches. On-going coaching sessions are conducted—some of them face-to-face and some via phone. Setbacks, obstacles and successes are the focus of discussions. In addition, real world practice occurs, with the aid of video-recorded skill development and playback critiques. The Hayes coach also follows up with the leader/manager on the progress of achieving the desired development goals. The Hayes coach utilizes specific sustainability techniques to reinforce positive behaviors and to help the individual change negative behaviors. These techniques include the individual being transparent, finding managers and peers to give feedback, and “broadcasting the change,” which helps the individual change peer and manager perceptions. The Hayes coach uses integral follow-up points to reinforce the behavioral change. The coaching engagement typically lasts for six to twelve months according to the participant’s needs. All Hayes coaches are certified through the Executive Coaching Certification Process (EECP) ensuring they have over 15 years coaching experience, follow a standardized and customized process, adhere to the highest ethical and confidentiality standards, and follow a service-leadership philosophy. The structure ranges from fees for individual sessions (pay for services as they are delivered)—or amortized equally over a period of 6 to 12 months. Within the partnership, what does the coach do? What does the individual do? What makes the coaching process so powerful and successful? The relationship and structure of the coaching process provide the environment for personal development and change. The focus is on the individual as it relates to goal setting, outcome creation and personal change management. What makes the Hayes Group Coaching Process unique? The Hayes Group approach is to address issues directly with the individual while maintaining a “tough on the problem, gentle with the person” perspective. We often utilize The Belief System™ construct to diagnose problems. Unique to Hayes, The Belief System™ addresses whether individuals believe their effort will lead to performance (Can I do it? ); their performance will lead to outcomes (Will I get an outcome? ); and will the outcomes lead to satisfaction (Do I want the outcome?). The Hayes Group has provided leadership coaching to more than 2,000 leaders in major international companies. Our focus is primarily on teamwork, communication, operational vs. strategic balance and managing relationships. We focus on individual behavioral change. Hayes uses individual patterned interviews as well as standardized and customized instruments to assess individuals. The instruments include standard assessments such as DISC, MBTI, Thomas-Kilmann Conflict Modes, and the Leadership Versatility 360 for strategic and operational fit as well as customized Hayes 360° Surveys. Our proprietary instruments include the Job Relations Inventory – a validated instrument that measures what employees work for and the managerial strategies used to coach employees. The 2nd instrument, Belief System™ Motivation Profile, measures the beliefs of employees regarding their ability to do the job, the outcomes of doing the job, and individual worker satisfaction. Hayes is unique in its use of videotaped feedback to show leaders how they can improve in communication, relationships, and emotional intelligence. We have used the Tell-Show-Do format in over 1,400 organizations worldwide and over 160,000 people have been part of our video-recorded feedback process – both in individual coaching situations and in classroom environments. Using real-world role plays, individuals can “see” first hand how they react and how they communicate. All Hayes processes utilize specific sustainability techniques to reinforce positive behaviors and help the individual change negative behaviors. These techniques include the individual being transparent, finding managers and peers to give feedback, and “broadcasting the change”, which helps to change peer and manager perceptions of the individual. Hayes uses integral follow-up points to reinforce the behavioral change. How is coaching distinct from other service professionals? An expert hired to focus on how past events in an individual’s life may have created or impacted their current challenges. Leads the process with asking questions of the client. The questions are used to assist in discovering the root of issues from the past that limiting current success. The goal is help the client live in the present. Retained by individuals or organizations for the purpose of accessing specialized expertise. The consultant diagnoses problems, makes recommendations and implements solutions. Leads the process with sharing perspectives and insights from past experiences and successes related to client’s situation. The consultant is hired to do and/or lead the initiatives and/or projects. An expert hired to share perspectives and insights based on their personal experience or sharing of experience in a specific area of industry or career development. The client does the work and the mentor is the guide in the process of achieving desired goals and results. Supports personal growth and development based on individual initiating change in pursuit of specific actionable outcomes. Coaching is forward moving and future focused. It is a supportive, discovery-based approach and framework for development. The coach leads process with asking client questions that empower them to take action from the current situation that will assist in desired goals and results. The client completes the work. The coach is the partner providing support and observations in the process of achieving results. A key role of the coach is to provide objective feedback and communication. How does a life coach differ from leadership coaches? Life coaching assists people in determining and achieving personal goals. Some of the areas that life coaches focus on are intimate and/or social relationships, personal finances, health and aging, family and parenting, career/profession, work and life balance, and spirituality. Life coaching draws from a variety of disciplines; e.g., sociology, psychology, career counseling, mentoring and numerous types of counseling. Leadership coaching builds its foundation from management consulting and leadership training. The focus on the client and coach relationship is self-awareness that leads to effective leadership and communication. Geese are excellent team players.